The classically elegant Aegean Odyssey is specially adapted for island and coastal cruising, so you can visit smaller, less crowded harbours, sail closer to the spectacular coastlines of Greece, Italy and Spain, navigate the idyllic islands of Sicily and Malta, and even cruise upriver into the heart of Seville. Experience the finest traditions of cruising on board Aegean Odyssey, combining the best of classical grace with all the modern conveniences of a first-class ship. She is a superb vessel carrying just 378 guests, creating a unique atmosphere that is both relaxed and convivial – you can mingle with other guests, or find quiet areas for relaxation.During the day, you may simply wish to enjoy the sun on the spacious teak decks, cool off in the outdoor pool refreshed with seawater every day, or rejuvenate yourself with a yoga session at the Athena Health Spa and Gym. There is an exclusive programme of talks held in the Ambassador Lounge, designed to entertain and bring to life the history of the area’s remarkable civilisations, and other fascinating topics. Perhaps borrow an interesting book from the beautifully appointed, well-stocked library, regularly updated by Oxford-based booksellers, Blackwells. Watch the sunset with a cocktail in the Lido Bar, or enjoy an aperitif in the Charleston Lounge while being entertained by the resident trio. 25.5 sq m / 275 sq ft staterooms located on Lido and Bridge Decks. Bath/shower or walk-in shower, sitting area and private balcony. Fixed double bed, separate twins or convertible twins can be requested. All staterooms and cabins on Aegean Odyssey are well-appointed, including flat-screen TV, telephone, personal safe, hairdryer and private en-suite facilities with complimentary toiletries. They are tastefully furnished with crisp white linen and teal accents. 15.8 to 18.6 sq m / 170 to 200 sq ft staterooms located on Bridge and Belvedere Decks. Bath/shower or walk-in shower. Convertible twin or fixed double beds can be requested. 12.1 sq m / 130 sq ft cabins located on Belvedere and Columbus Decks. Fixed twin beds with private shower. 12.1 sq m / 130 sq ft cabins located on Columbus Deck. Fixed twin beds with private shower. Most have porthole-style windows. 12.1 sq m / 130 sq ft cabins located on Columbus Deck. Fixed twin beds with private shower. There are no exterior windows in these cabins. 12.1 sq m / 130 sq ft cabins located on Belvedere and Columbus Decks. Fixed twin beds with private shower. There are no exterior windows in these cabins. 12.1 sq m / 130 sq ft cabins located on Bridge and Belvedere Decks. European full-sized bed with private shower. Restricted view. Please note the cabin plan and photo shows the Category H double occupancy stateroom. Category HH single cabins are smaller and feature one European full-size bed. Views are partially obstructed by lifeboats in the cabins on Bridge deck. 12.1 sq m / 130 sq ft cabins located on Columbus Deck. European full-sized bed with private shower. Most have porthole-style windows. 12.1 sq m / 130 sq ft cabins located on Belvedere Deck. Small double bed with private shower. There are no exterior windows in these cabins. 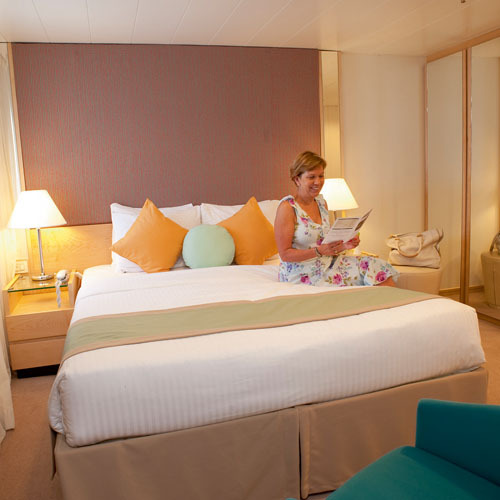 20 sqm/215 sqft staterooms located on the Belvedere Deck. These cabins have convertible twin beds and a private bath and shower or walk-in shower with complimentary toiletries. They are well-appointed, including a flat-screen TV, telephone, personal safe, and hairdryer. Tastefully furnished with crisp white linen and teal accents. 12.1-13.9 sqm/130-150 sqft cabins located on Bridge and Lido Decks. These cabins have fixed twin beds and a private shower with complimentary toiletries. They are well-appointed, including a flat-screen TV, telephone, personal safe, and hairdryer. Tastefully furnished with crisp white linen and teal accents. 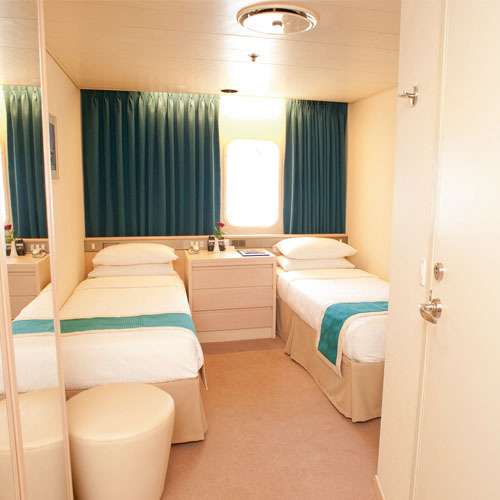 12.1 sqm/130 sqft cabins located on the Bridge Deck. These cabins have fixed twin beds (a fixed double bed can be requested) with a private shower and complimentary toiletries. They are well-appointed, including a flat-screen TV, telephone, personal safe, and hairdryer. Tastefully furnished with crisp white linen and teal accents. Views in some cabins are partially obstructed by life boats. Outdoor pool located on the lido deck, refilled with fresh sea water every day. Fitness studio and gym area with a range of equipment and offering daily classes. Library boasting a collection of over one thousand books, magazines and newspapers and board games. Boutique shop located on the Promenade deck where you can purchase stunning, high quality clothing and keepsake items. 'Ambassador Lounge' where the guest speaker lectures take place. *Spa treatment price list available on board only and cannot be pre-booked prior to departure. On the Observation deck you will find both the Piano Bar and Observation Lounge which both offer spectacular views from all sides through the panoramic windows. Relax on the comfortable sofas and chairs all around the room, whilst enjoying the live piano music (at appointed times). This is a popular place for bridge players to meet, and the free Wi-Fi is accessible in the lounge. If you feel like lazing under the sun or going for a dip in the fresh sea water pool, you can make your way to the Lido Deck, located at the top of the vessel. On this deck you will also find a bar. 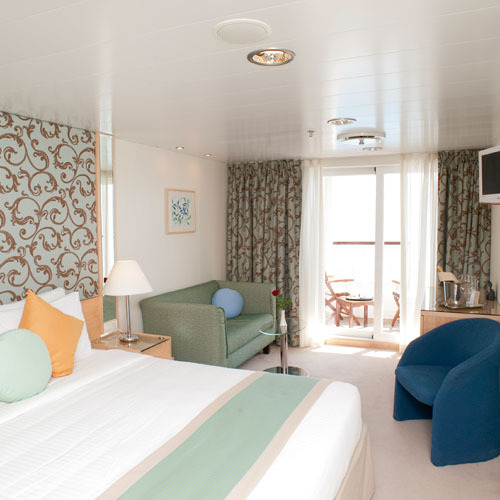 The cabins offered on this deck are Category C – Deluxe Balcony Staterooms. Then there is the Bridge Deck where you will find some of the deluxe, superior and single rooms. The cabins offered on this deck are Category C – Deluxe Balcony Staterooms, Category F - Deluxe Outside Staterooms, and Category HH - Superior Outside Single Cabins. The Promenade Deck is a hub of activity as the central meeting place for everyone on board. Here you will find an abundance of lounges, bars and cafes and also the library and boutique shop. First of all, we have the Ambassador Lounge which is located towards the front of the ship and this is where any lectures, seminars and take place. In the Charleston Lounge there is a selection of extravagant international cocktails offer and also where the pianist and other musicians provide a variety of entertainment at different times of the day and night. This lounge is elegant and classic and is the perfect place to enjoy an aperitif or drink before. For those in the mood there is even a small dance floor. Then we have the Terrace Café, where you can take breakfast, lunch and dinner. With its sea-side café like atmosphere, you can choose to sit in either of the sophisticated indoor or spacious outdoor seating areas. Food is chosen from the grill or you could order one of the hot dishes of the day and/or a salad. There are always local specialties available too for those of you who really want to taste the culture of the place you are visiting. The outside area of the café is a great place to start your evening as you can choose from a selection of mouth-watering appetizers, try the seafood or pick from the wide variety of pizzas and enjoy them outside on a warm evening. The Library offers a grand selection of over 1000 volumes, all selected by Blackwell’s in Oxford. There is something for everyone in here including magazines, newspapers (when available) and a mix of both classic and modern board games. Opposite the Library you will find the Boutique/Shop which features a wide range of luxurious, tax-free designer and logo items as well as those little souvenirs and gifts to take home to your friends and family. Belvedere Deck is where you will find more Category F and HH cabins, and also the Category H – Superior Outside Cabins, Category M - Standard Inside Cabins, and Category MM - Standard Inside single cabins. The Reception Desk is attended 24 hours a day and available for general information, mail and other services. As this desk is manned at all times, you can ask for any information or assistance any time of the day or night. 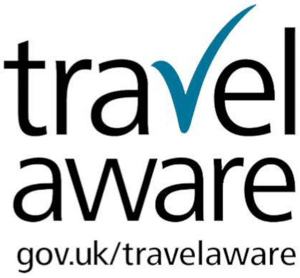 The Tour Desk is just beside it where you can find out all of the relevant, tour and itinerary information desired. There is also a spacious Internet Centre filled with computers connected to the Wi-Fi. Alternatively, you can take your Wi-Fi tokens, obtained at the reception desk, with your own device up to the Observation Deck. Last but certainly not least on this deck is the Beauty Salon, located in the mid-ship. Here you can choose from a range of luxurious hair and nail treatments including manicure, pedicure and hair styling. The Columbus Deck holds a variety of cabin types such as Category H, Category J - Standard Outside Cabins, Category L - Superior Inside Cabins and also Category JJ - Standard Outside Single Cabins. The Fitness Studio & Gym provides space for you to work out personally or in a group, or perhaps on-to-one with a trainer. There is also a great range of classes available to choose from, including free sunrise yoga sessions every morning. In addition to this there is also the new Athena Health Spa - inspired by the Roman quest for health and the Far Eastern massage traditions. The excellently trained will provide the most relaxing and enjoyable body treatments and therapies. The Medical Centre is also located on this deck and is open 24 hours a day for your peace of mind. Moving down to the Marco Polo Deck you will find the elegant Marco Polo Restaurant, open for dinner each evening and for lunch during the full days at sea. This comfortable restaurant has a casual country-club feel to it, and offers a variety of menus inspired by the fresh local ingredients of the areas we visit. There is an open-seating policy for you to choose where you sit and who with each mealtime. This way you are not restricted to the same seat all week. There is complimentary wine with dinner in all dining areas on board.